To “Force Quit” an app go to the Menu in the top left of your screen with the Apple logo. 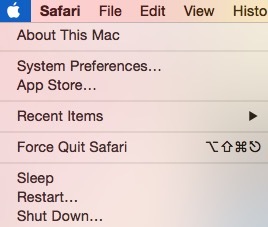 Click the Menu and choose “Force Quit.” This will present a window with all of the open applications on your Mac. Normally, if one is stuck or not responding you will see “Not responding” next to the name. Click this app’s name or any other one that you are having issues with and then click the “Force Quit” button. This should force the application to it, as the name implies. You can then reopen it and try again. 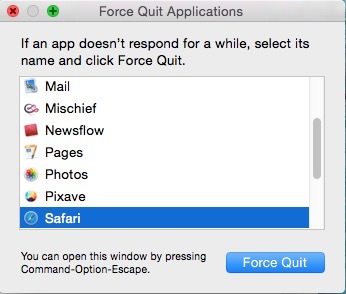 Bonus tip: Hold the “Shift” key while clicking the Apple menu and you will see the name of the app you are in after “Force Quit.” Instead of choosing from the list you can just do everything from one step. Instead of waiting for the “beach ball” to stop spinning the next an app goes crazy on your you can force it to quit.